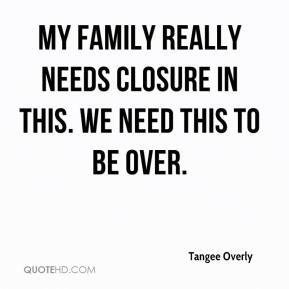 My family really needs closure in this. We need this to be over. I can't lie and say that I'm sorry that this conclusion happened because I'm not. 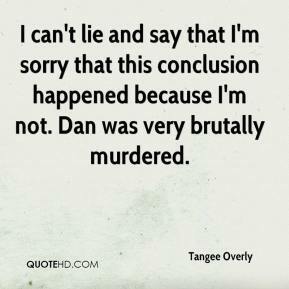 Dan was very brutally murdered. 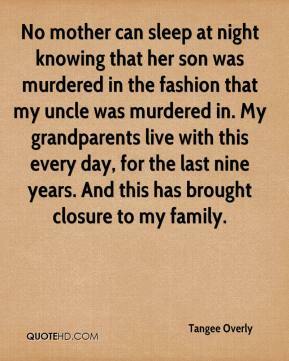 No mother can sleep at night knowing that her son was murdered in the fashion that my uncle was murdered in. My grandparents live with this every day, for the last nine years. And this has brought closure to my family. 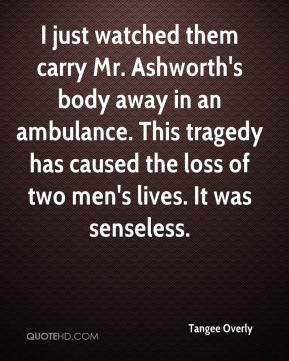 I just watched them carry Mr. Ashworth's body away in an ambulance. This tragedy has caused the loss of two men's lives. It was senseless.